Rochester, NY – The usual tensions were high yesterday as protestors took their place during Donald Trump’s New York rally speech. Hispanics, African-Americans, and anti-Trump activists held up signs and chanted outside the meeting area with hopes to get their point across. 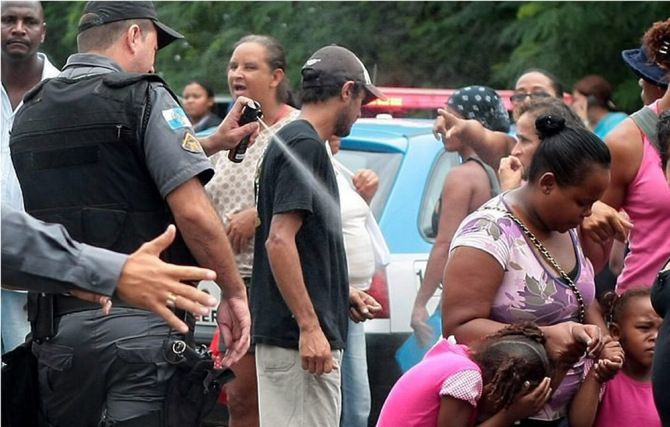 Unfortunately, the protest took a turn for the worse when a mother and her two children passed by a police officer. That’s when one of the little girls decided to speak her mind about what she thought of police. It was at that point the cop made his move without hesitation. He pulled out his mace and sprayed the little girl, 5 year-old Shawanda, directly in her eyes. According to eyewitnesses, he let it spray until another cop pulled him away and ordered him to stop. Other protesters tried to stop him as well, but they were taken down by surrounding police officers. 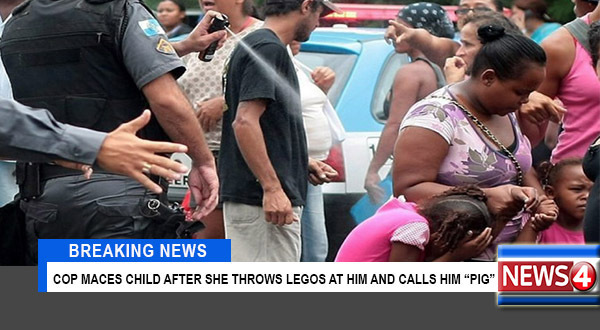 In all, 10 people were arrested for trying to protect the child.